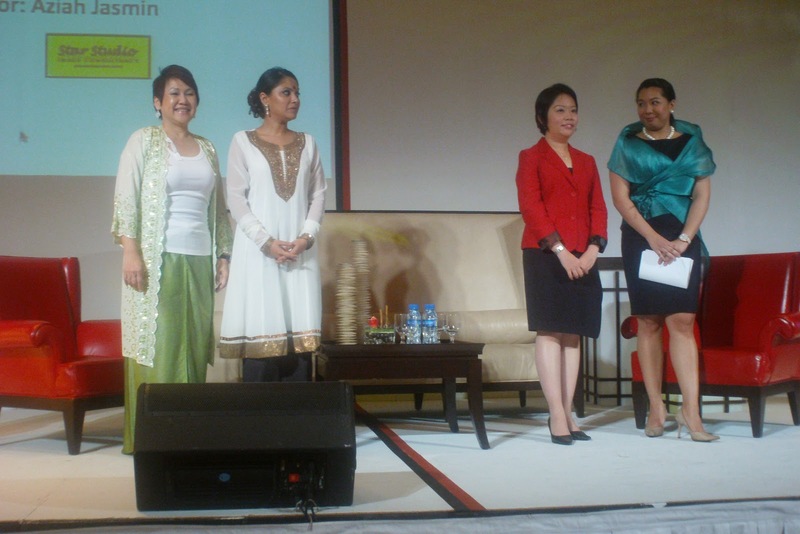 During the AICI SE Asia conference there was a session on doing business with Asia and understanding some of the cultural differences, manners and customs. 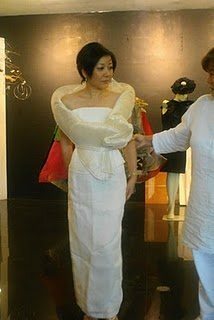 The presenters wore traditional dress of their culture.The Filipino presenter Miselle Bergonia wore this fabulous wrap by local designer Dita Sandico-Ong. 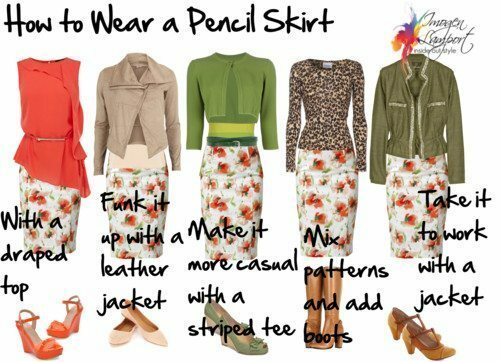 It’s based on a tradiitional garment and made from indigenous fibres and linen. The fabrics are produced by local craftspeople. When travelling I like to bring home something of beauty that is locally produced and typical in some way of the culture. After admiring Miselle’s wrap we were lucky enough to have one of the local image consultants Bill, take us to Dita’s shop, where she came in and met us and told us all about her clothing and production techniques. 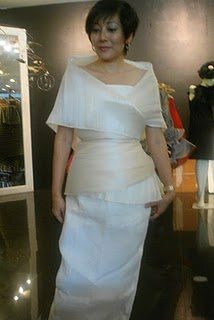 She supports traditional methods of production from natural materials woven into indiginous Filipino fabrics. The wrap is the green one pictured above and is called Mariposa, which I believe means Butterfly, and can be worn in a multitude of ways. 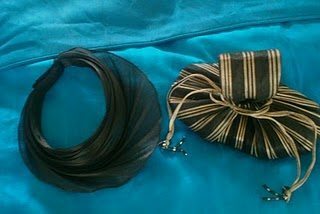 I also picked up hat that can be worn in many ways and a great evening bag, both also made of the banana fibre which has a natural sculptural form. Dita told us that her designs and clothing can be found in a retail outlet in Denmark and she has an outfit in the Asian Civilisations Museum in Singapore, and is currently looking for outlets to sell her unique and beautiful clothing in other places across the globe.